India’s victory over Sri Lanka in Mumbai, and the series win that it has brought, has seen the hosts take over as the world’s top-ranked Test team, at least for the next few weeks. It’s difficult to imagine India enjoying the dominance of Test cricket that the West Indies, and more recently Australia, have – partly because of how little Test cricket India play at the moment, and partly because of their mixed record away from home – but the masterplan seems to be working so far. Sulieman Benn has shown considerable promise for some time (even to the extent of me noticing), so it’s gratifying to see him stepping up when his team need him, taking 5 for 155 (including the wickets of Watson and Katich, who started the day having built a 174-run partnership) as the West Indies dismissed Australia twelve runs short of their own first innings total. The West Indies could really do with a top-class spin bowler at the moment, as their bowling attack has struggled against the Aussie machine, and if Benn can maintain the same standard in the second innings at Adelaide, where the pitch is starting to deteriorate, then who knows what could happen? There, I didn’t mention his height once. I didn’t say that he’s taken giant strides forward, or that he’s reached new heights, or even that he was head and shoulders above the rest of the attack. Two 19-year-olds have made Test centuries in the last week, both on Test debut, and both in a losing cause. Umar Akmal, younger brother of Kamran, made 129 from just 160 balls in his first ever Test innings, which he followed up with a creditable 75, the highest individual score of anyone in Pakistan’s second innings total of 218, during the First Test against New Zealand. The youngster impressed observers with performances such as his century for Pakistan A in an unofficial Test against Australia A, and from what I have seen, he looks very promising indeed. 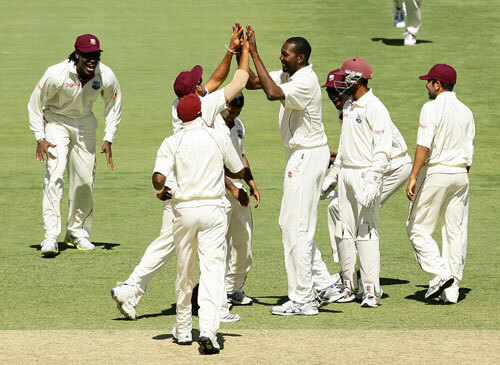 Adrian Barath made just 15 in his first Test innings for the West Indies against Australia in Brisbane, but he followed it up with 104 of the Windies 187 as the tourists fell to an innings defeat. Barath was one of the stars of Trinidad & Tobago’s Champions League adventure, and Brian Lara is a longstanding fan, so Adrian could be another star of the near future. Here’s hoping these two are delighting cricket fans for many years to come. Dirk Nannes is the latest overseas star to sign up for next season’s Twenty20 Cup (following Adam Gilchrist’s move to Middlesex and the various other county comings and goings), having been snapped up by Nottinghamshire. The Dutch-Australian fluent Japanese speaker and skiing enthusiast is widely regarded as a Twenty20 specialist, and given his success with Delhi, Victoria and Middlesex in the past (not to mention a certain incident over the summer), it’s hard to argue with Notts director of cricket Mick Newell’s assertion that Nannes is “the most effective Twenty20 bowler in the world“. If Graeme Swann, Samit Patel and Ryan Sidebottom are all available to their county over the summer, then the Outlaws will have quite a bowling line up in the short format next year. 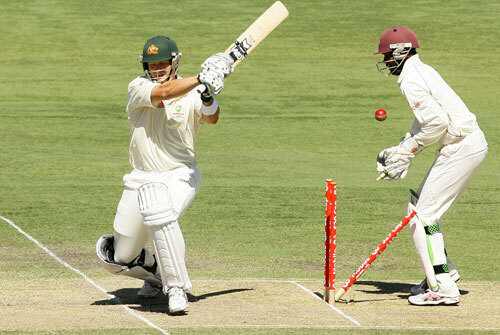 Australia’s well-documented injury problems in India have allowed one or two players the chance to break into the side. The man with possibly the most masculine name ever, Burt Cockley, may not have made it into the side, but Doug Bollinger did, and took 3-38 on Monday and 5-35 today to move his way up the pecking order of Aussie quicks (Mitchell Johnson also had a good match, so he probably still pecks first). Bollinger has been on the fringes of the Australian side for some time, having often been a non-playing tourist with the Test side, and having played only 3 ODIs before the current series (in the relatively low-profile series against Pakistan over in the UAE). Given Australia’s problems with bowlers this year, perhaps the Champagne puns that have been (ahem) ‘on ice’ since Dominic Cork’s international retirement will get more regular outings in future.